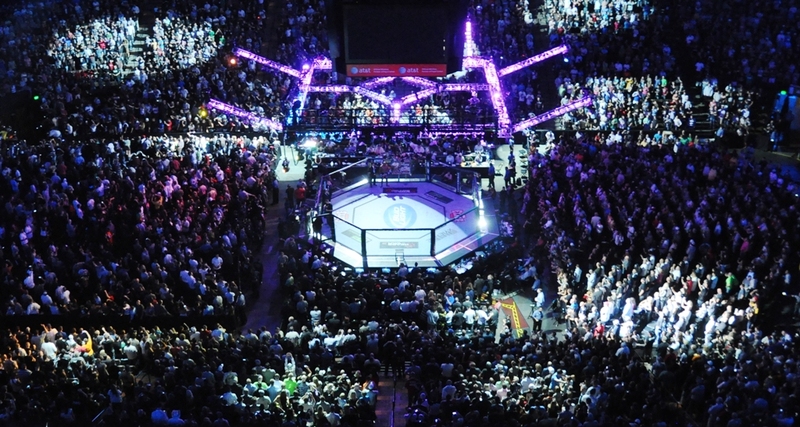 After just over six months since its last stop Down Under, the UFC heads back to Australia for UFC Fight Night 65. Last time, the UFC brought a big middleweight bout to Sydney. This time, the company heads to Adelaide with a heavyweight showdown between Mark Hunt and Stipe Miocic. Of course, Hunt is the going to be the hometown favorite. The New Zealander looks to return to the win column after losing the interim heavyweight title fight against Fabricio Werdum this past November. Hunt is currently 1-2-1 in his last four fights and faces Miocic, another fighter looking to get back to his winning ways. Miocic suffered his second career loss against former UFC heavyweight champion Junior dos Santos in December when he lost by unanimous decision. In the co-main event, Brad Tavares seeks to notch his second straight victory against another New Zealand product, Robert Whittaker. Whittaker is currently riding a two-fight winning streak that saw him take victories over Mike Rhodes and Clint Hester. 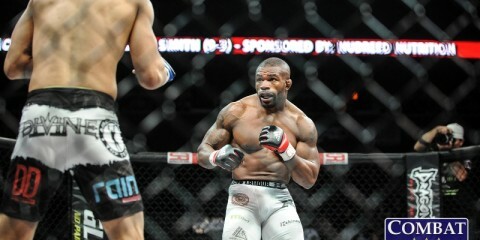 Tavares took a win from Nate Marquardt in his last fight after losing back-to-back fights to Yoel Romero and Tim Boetsch. The main card is rounded out with another two fights. At light heavyweight, “The Hippo” Anthony Perosh fights for the third straight time in his home country of Australia. Perosh goes up against Sean O’Connell. 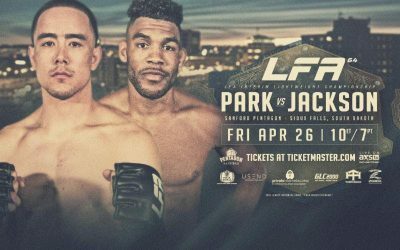 And, in the lightweight division, undefeated prospects James Vick and Jake Matthews square off. The entirety of UFC Fight Night 65 airs on the UFC’s streaming service, UFC Fight Pass. 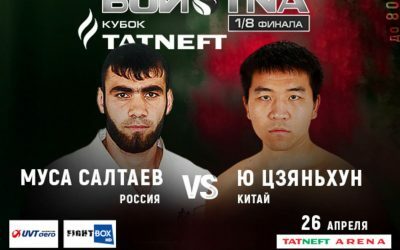 The eight preliminary fights begin at 7:45 p.m. ET, and the main card airs at 11 p.m. ET. This Toe-to-Toe breakdown comes to you from the writing minds of Vince Carey and Sal DeRose. After his meteoric rise through the heavyweight ranks, Mark Hunt is now just 1-2-1 through his last four fights. Can he regain some momentum and defeat Stipe Miocic, or is this the fight where Miocic establishes himself as a legitimate title contender? Carey: This may seem weird since it came in a losing effort, but I actually feel like Miocic proved himself to be a legitimate contender in his last fight against Junior dos Santos. Cain Velasquez is practically untouchable at this point. Yet, even though JDS has dropped two in a row to the champion, “Cigano” still feels like the biggest threat to Velasquez’s belt. The way that Miocic was able to not only hang with dos Santos, but put him in trouble multiple times, showed that the Ohio native is already fighting at an elite level. Now, Miocic just needs to put together a couple of big wins in order to get himself a title fight. Outside of the champion or JDS, there may not be anyone who can beat him. Obviously, the path to the belt is going to start with Hunt. Even though Hunt’s recent stretch of fights and overall record don’t strike fear into the hearts of opponents, “The Super Samoan’s” power does. 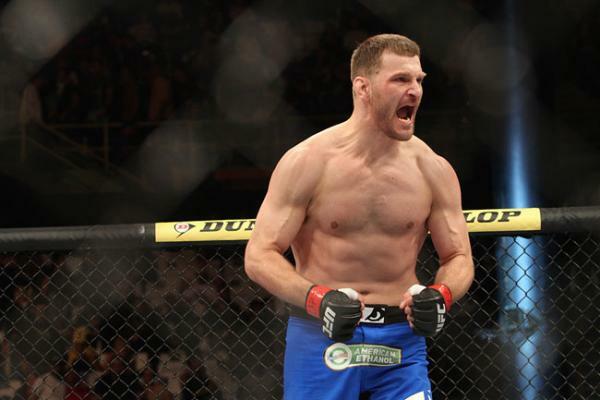 Miocic has fought and beaten some extremely heavy hitters in his time in the UFC, and his decision wins over Roy Nelson and Joey Beltran have proven he can go the distance with some of the most lethal one-punch knockout artists in the sport. However, Hunt has a different, almost inhuman kind of power, and while Nelson and JDS may not have been able to put Miocic away with one shot, Hunt very well may be the guy to do it. Miocic’s experience fighting guys with legitimate knockout power may end up saving him here, and it’s the only reason I feel pretty confident picking him against someone as scary as Hunt. Miocic’s wrestling should be more than enough to allow him to effectively get the UFC and Pride veteran to the floor, and his striking and footwork are good enough that he should be able to get off some combinations without getting cracked with a big punch. Hunt can end this at any time with a well-placed strike, but Miocic outworking “The Super Samoan” and winning a lopsided bout seems more likely. DeRose: Yeah, the path to victory is pretty simple for both fighters. Of course, Hunt’s high-level kickboxing pedigree is going to be his lone way to win. If he can’t stop Miocic early, he won’t get the victory from the judges. Miocic needs to keep away from Hunt’s power shots and attempt to bring this fight to the ground, where he can wear out the former title challenger. I, too, believe that Miocic has already established himself as a contender. Heavyweight isn’t exactly all that deep, either, and even losing efforts can establish a fighter as a contender if said fighter is facing top-level opposition and looking great while doing so. I certainly think Hunt has good odds to win this fight. It won’t be the lopsided fight that my colleague predicts it to be. Hunt will challenge Miocic on the feet and probably put him in a couple of bad spots. Miocic will get his hand raised in the end, but it won’t be easy. Hunt will enjoy the homefield advantage and a big experience edge, after having faced just about every great heavyweight you can think of sans Velasquez. It says something, though, that Nelson is Hunt’s lone victory since his meteoric rise brought him to JDS’s feet. Miocic works Hunt for three rounds, mixing it up with some close clinch work and grappling while limiting Hunt to just the lone option of winging power shots. Middleweights Brad Tavares and Robert Whittaker slide into the co-headliner slot. Is this a battle of future title contenders or also-rans? DeRose: I had high hopes for Tavares coming off The Ultimate Fighter 11 when he was in his early 20s. Now, at 27, Tavares seemed to have lost that momentum after losing two straight to Tim Boetsch and Yoel Romero. However, things seem to be taking a different turn for the Hawaiian now. I picked against Tavares in his last fight against Nate Marquardt. It was a bad choice. Tavares didn’t knock out Marquardt, but he got some really clean shots in over the course of three rounds. It was actually surprising to see Marquardt’s chin hold up. Sure, Tavares isn’t one of the most fearful in terms of punching power at middleweight, but he kept landing and yet Marquardt kept trucking. Marquardt isn’t what he used to be, and the win for Tavares doesn’t mean as much as it did maybe a couple of years ago. However, it’s still a big win for a man who was looking to end a two-fight skid. Tavares still has a ton of potential left in him, and I’m actually picking him to win this over Robert Whittaker. Whittaker’s losses aren’t to the likes of Romero and Boetsch, and he hasn’t really faced the same strong competition as Tavares has seen. If Whittaker were to win this fight, it’s a different story. But the experience edge goes against him, and we’ve seen Tavares perform well against superior competition. Carey: This should be one of the most exciting fights of the night, but an exciting fight is really all it is. I don’t see either of these guys ever being considered a true threat to win a UFC belt, and while a win for either man will put them in a good position to get a shot at a solid middleweight next, it’s hard to envision either of these two being able to defeat a top-10 middleweight. Whittaker is still young and improving, but the middleweight division has gotten scary at the top over the last couple of years. Maybe there’s a chance that he’ll have a Matt Brown-style run in five years and shock everyone by finding a way to became a dark-horse contender, but don’t expect him to jump into contention any time soon. A win over Tavares here would definitely be the biggest of his career, but it’s not a game-changing victory. Tavares did find a way to turn things around with the win over Marquardt in his last outing, but, as my colleague noted, it doesn’t mean as much as it would have a few years ago. Still, there is no denying that the Hawaiian looked great in the match-up. If he comes out the same way against Whittaker, a victory will be a foregone conclusion. The problem with calling Tavares a future contender is that we’ve already seen him 11 times in the Octagon and he’s always been more or less in the same spot in the division. Tavares will take out middle-of-the-pack 185-pounders all day, but when he gets bumped to the next level, he tends to struggle. I’m also taking Tavares this weekend. The Hawaiian will look good in victory. It won’t be easy to defeat Whittaker in Australia, but Tavares has been in the Octagon enough not to get rattled by a hostile crowd and he should have an all-around advantage in the actual fight. This event features two fights in the women’s strawweight division and includes three cast members of The Ultimate Fighter 20. Are these two matches win-or-go-home affairs for the losers? Which fighters pick up wins in their sophomore debuts? Carey: I can see Bec Rawlings surviving to fight another day in the Octagon with a loss, because she’s a bit more popular than the other 115-pounders on the card. However, for Lisa Ellis, Alex Chambers and Kailin Curran, a defeat here could easily spell the end of their UFC tenure. Although the UFC’s strawweight division is relatively new, there’s been a lot of talent coming out of the woodwork over the last few months. The UFC doesn’t need to bank on the stars of TUF as badly as many thought the company would in order to sell the new division. That makes some of these girls expendable with back-to-back losses, and I think we lose two of them this weekend. Rawlings may have a decent shot at surviving the chopping block regardless of what happens this weekend, but I doubt she ends up having to worry after her bout with Ellis. While both fighters have struggled as of late, Rawlings is fighting at home this weekend and looked slightly more competitive than Ellis did during their respective UFC debuts. The younger fighter is going to gain the momentum here and win this fight with her grappling. It won’t be an easy victory, but Rawlings will wrestle and control her way to a decision this weekend and send Ellis packing. The other female fight is equally intriguing. However, Chambers, unlike Rawlings, will not be able to use the biased hometown crowd to her advantage. 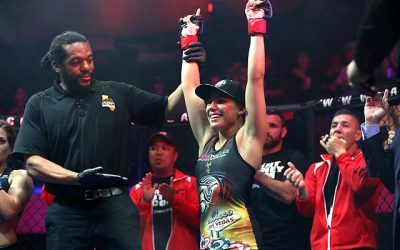 Even though it came in a losing effort, it was really easy to be impressed by the aggressiveness and skill of Curran in her debut against Paige VanZant. A minor step down in competition for Curran should end up being enough to get her into the win column and allow her to save her roster spot. Chambers may not be so lucky. If she does lose, as I’m predicting, it seems likely she’ll end up on the chopping block. DeRose: I’ll agree with my fellow writer, but only to an extent. Two of these fighters could be facing the axe here. First, there’s Chambers, who is 36 years old. Her age, mixed with a two-fight losing streak, could be enough to push her out. Then, there’s Ellis, who seemed very lackadaisical during her TUF tenure, but actually put up a better fight than I expected against Felice Herrig on the TUF 20 finale. I don’t expect a win from either of these fighters. Rawlings should be able to outwork Ellis and feed off the Australian crowd, which will be firmly in her corner. Let’s just chalk up Rawlings disappointing debut on the TUF 20 Finale to nerves and expect an improved showing this weekend. Chambers hasn’t really demonstrated much on the show or in her Octagon debut. Both fights ended with her being submitted in the first round — once by Rose Namajunas, who ended up being a finalist on the show, and then by Aisling Daly. Where my colleague and I differ is in our opinion on Curran. Even with a loss, she won’t be cut. It’s difficult to imagine a scenario where Curran does end up getting her walking papers, barring some sort of unsportsmanlike act or a completely one-sided loss. Curran is only 24, and she is a prospect for the division, which is still young and lacking true depth. In fact, while both losers do run the risk of a release, they could just as easily find themselves sticking around due to the short existence of the division. 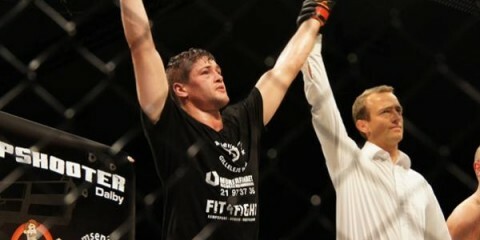 Young Aussie Jake Matthews has looked awesome in his two UFC wins, and with an undefeated record at just 20 years old, he’s quietly becoming one of the more intriguing prospects in the lightweight division. Does he have enough to defeat James Vick, who’s undefeated in his own right and came on strong with two wins in the latter half of last year, or does The Ultimate Fighter 15 veteran Vick continue to work his way up the ladder after injuries cost him much of the last three years? DeRose: Both of these guys are easily fighting for the right to be the next big contender at 155 pounds. Matthews and Vick have been impressive so far in their careers. They are entertaining, and they’ve been finishing their opponents. They have 11 finishes combined, but they have one difference between them — Matthews has finished both of his UFC opponents, whereas Vick has failed to finish anybody since his UFC debut stoppage victory over Ramsey Nijem. I really like Matthews as a prospect for the UFC. 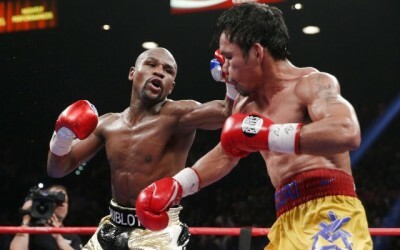 He outperforms what would typically be expected of a 20-year-old fighter. Matthews likes to bring an aggressive style to his fights, and he has the great ability to bring the fight to the ground and then use his superior ground-and-pound to great effect. Vick has been plagued with injuries, but he did fight twice in 2014, including in November, so a six-month layoff isn’t the end of the world. It doesn’t really help, but it doesn’t really hurt either. Vick is going to be the much larger fighter in this fight. Matthews is very strong for his size, but he is giving up six inches in height and four inches in reach. If Vick is able to utilize a stiff jab and keep the fight at a distance, Matthews might have some trouble and resort to trying to brawl his way into striking range. Matthews has tended to fade into brawls, which isn’t a bad thing if he can handle it, but it might not be so easy to pull off against a guy with so much advantage in the size department. I still like Matthews in this fight. He is a tremendous prospect, and I only have great things to say about him. I feel like I may be hyping him up too much, but I see a lot of things I like in his game. Carey: I agree with my colleague’s prediction that Matthews is going to come out on top, but this is definitely one of the closer fights on the card. It feels like it could really go either way. Vick might actually be the better rounded of the two fighters. He’s shown a little more on the feet during his UFC tenure and especially his TUF run. However, Matthews is a dangerous man on the mat, and that’s where he’s going to try to earn his paycheck on Saturday. In both of his UFC fights, Matthews looked extremely tough to deal with on the canvas. 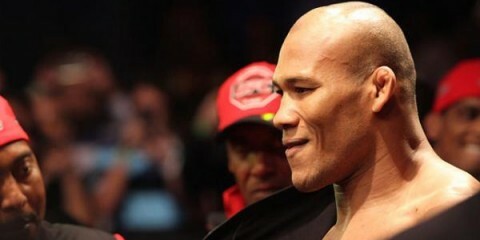 This especially rings true of his last fight, where he took out jiu-jitsu ace Vagner Rocha. And while it may not make too much of a difference, Matthews is competing in his native Australia once again this weekend. At 20 years old, the distractions and all-around nerves that come with having to travel may have an adverse effect on Matthews, and since he’s spent his entire career fighting Down Under, it’s going to be good for him to retain that atmosphere in such a crucial fight. Vick has been impressive too, but it does feel like many fans forgot about him during his long layoffs over the last few years. 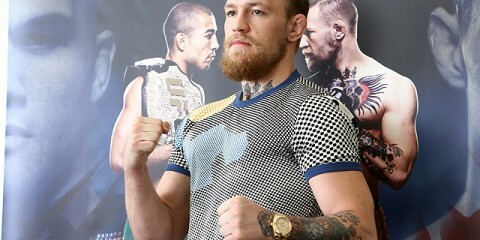 He’s still working on gaining some momentum despite his three wins in the Octagon. If he can use his reach to keep Matthews on the outside and win the striking battle, this could very well be his fight to lose. His size could help him seal some rounds with late takedowns as well. I don’t love that this will be the first fight of Vick’s career to take place outside of the United States. Many fighters have had trouble adjusting to a new environment and time clock when attempting to fight overseas for the first time, and while there’s obviously no way of knowing whether or not Vick will be affected, it’s still something to consider. Carey: There isn’t a fight that really sticks out on this card, but I am intrigued by the UFC debut of Jonavin Webb against a true veteran in Kyle Noke. 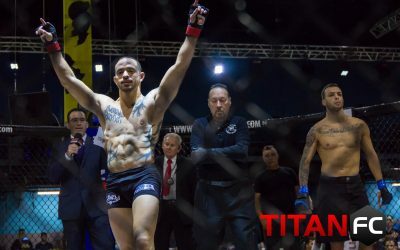 Webb is an undefeated New Jersey prospect who has spent his entire career competing in Mike Constantino’s Cage Fury FC promotion on the East Coast, and he makes his debut following the first successful defense of his welterweight title. However, Webb looked a bit outmatched by big-show veteran Lyman Good when they fought last year. Webb was well on his way to his first defeat before an accidental eye poke ended the bout in a no-contest. We’ll get a good grasp of Webb’s true skill level after he takes on Noke this weekend. If Webb is more like the fighter who has finished six of his eight wins than the one who fought Good, then he’ll be worth keeping an eye on. DeRose: This isn’t really as much a sleeper match as it is something I want to watch. Ben Nguyen became internet famous on Reddit after he knocked out Julian “Julz the Jackal” Rabaud. Rabaud had acted tough at the weigh-ins and pushed Nguyen around, and Nguyen doled out some justice by knocking out Rabaud the next night. The video is captivating, and it’s exciting to see Nguyen take to the UFC stage. He faces Alptekin Ozkilic, a tough veteran. 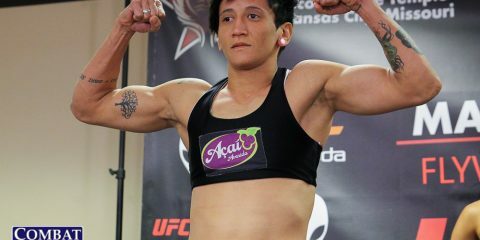 Ozkilic, who is hungry to get back in the win column, should be a good test for Nguyen. A man on a two-fight losing streak is a man fighting for his job, and that makes Ozkilic all the more dangerous. DeRose: A good nap. These fights are going on extremely late at night — at least for those fans in the easternmost time zones, anyway. With the main card starting at 11 p.m. ET and the prelims beginning at 7:45 p.m., you will need all the energy you can get to keep up with the card and still be conscious to watch the main event that features fan-favorite Mark Hunt and an up-and-coming talent in Stipe Miocic. Definitely take some time in the afternoon to snooze a little bit, or save your sleep for the next day and wake up in the middle of the afternoon. Carey: I’m actually really fond of Sal’s nap idea, but in the case that you can’t sneak a nap in on a Saturday, stock up on coffee or energy drinks instead. Or, if you’re really brave, maybe grab some Redbull, mix it with the alcoholic beverage of your choice and see if you’re coherent by the main event. On a card where the headliner might be the only fight of the night that can get fans excited, my only advice is that if you’re planning on watching, make sure you pair it with something that will keep you awake until the featured fight rolls around.